If you’re looking for a new source for your operation’s essential hydraulic hose, hydraulic fittings, or rubber products, we can assure you that you’ve landed in the right place. Kent Rubber Supply has over seventy years of experience offering high-quality products that meet – and exceed – our customers’ needs. Committed to continual improvement, we are always looking for ways to upgrade our products, shorten our lead times, and improve our customer service. Whether you’re a local operation or a global manufacturer, you can count on us to deliver on your expectations. 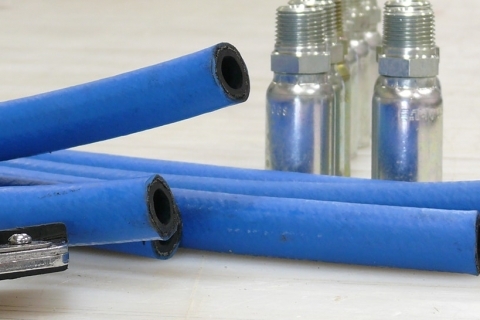 In today’s post, we’re going to look at a few of the top reasons that you should source your industrial hose and custom rubber products from Kent Rubber Supply. With a history of providing a range of hydraulic hose and custom rubber products, we’ve been a leading fabricator and distributor for over seventy years. In this time, we’ve earned a reputation for our ability to deliver on our customers’ needs. When sourcing products, a good product line isn’t enough. At Kent Rubber Supply, our product offerings are bolstered by amazing customer service. We aim to build relationships with our clients and work to understand their needs. Offering a massive selection of hydraulic hose, hydraulic fittings, gaskets and seals, rubber products, and custom hose, we’re confident that you’ll find everything that you need in our catalog. If not, we encourage you to contact us to discuss your needs. At Kent Rubber Supply, we take a lot of pride in helping our customers overcome the challenges they’re facing. We understand that no two problems are the same and, with that in mind, we’ll work with you to identify – and address – your specific issues. If you’re having difficulties with your current sources, we’d love to hear from you!